September 4, 2009 — After much spirited debate I have come to the conclusion that the argument presented below is much weaker than it should be. I am redoing this argument in a new, far superior essay, but I will leave this one up for the sake of documenting the journey it represents. During some recent discussions about religion I’ve had at least one friend whom I consider extremely intelligent call himself an “agnostic” in the context of his belief in God. I believe, however, that this person, and most people like him, are actually atheists. I think the distinction is important given the discourse that is taking place between believers and non-believers within society. Specifically, I think those who do in fact lack belief in god(s) should be willing to explicitly say so through the term they identify with. And since this is certainly a matter of definitions, I’d like to take a moment to address the terms “agnosticism” and “atheism” with the goal of getting more like-minded people to consider themselves atheist instead of agnostic. On Dawkins’ scale of 1-7 between strong atheist and absolute believer you can see that only those at the two extremes are absolutely certain of their position. And on the atheist side, very few call themselves a level 1, or strong, atheist. Not even Dawkins considers himself a strong atheist, and neither do I. This leaves levels 2 and 3 for most atheists, and levels 5 and 6 for most believers. Both of these ranges are ultimately degrees of agnosticism, and as such the logical approach is to evaluate the probability of a given proposition being true. This applies to all propositions, big and small. Remember, all propositions being made about the nature of reality are either true or not. It’s one or the other. And because propositions either are true or false, and because we have plenty of reality to take samples from, it’s quite natural to assign a degree of probability (even if its qualitative rather than quantitative) to a given proposition. It must also be noted that most people call themselves agnostic with respect to religion because they have been trained to avoid conflict, both internally and socially. 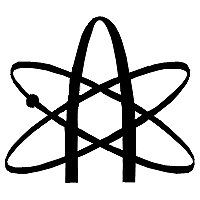 The use of the label “agnostic” serves as social lubricant to avoid the friction of calling oneself an atheist in polite company. I believe this to be intellectually dishonest, and an inhibitor to societal progress. But agnosticism has its place. As Richard Dawkins points out in his best-selling book on religion, The God Delusion, it is perfectly rational for someone to be agnostic on the questions of whether there is other intelligent life in the universe, or what exactly caused the last mass-extinction event. The reason agnosticism fits here is because these are knowable things that we simply do not know at this time. Perhaps we will learn these answers soon, or perhaps we never will, but either way a truth does concretely exist regardless of whether or not we have it in our possession. Other examples would include questions regarding the origin of life on earth, or what existed before the big bang. On these matters I too am an agnostic. But for those who accept that the current, monotheistic gods are every bit as likely to exist as the Greek or Norse gods, or leprechauns, or Russell’s Teapot, or the Invisible Pink Unicorn, it amounts to intellectual cowardice to call oneself “agnostic” with regard to any of them–including to the ones that people do believe in. If atheism is a belief, then not collecting stamps is a hobby. Note the first piece of the definition: disbelief in. This is a crucial point. Many cling to the label of “agnosticism” because they cannot be sure there is no god, but what they fail to realize is that while being agnostic pending evidence in one direction or another their admitted lack of belief in the meantime fully satisfies the criteria for atheism. Another common attack against atheism comes from believers in the form of stating that atheists are believers just like them. This particular position is absolute nonsense. If my friend Bob believes he is a vampire, and I simply don’t believe this, I didn’t somehow acquire a new belief by engaging in the conversation. I simply didn’t add one. If this argument of atheism being a belief were true, everyone on the planet would be said to be carrying around an infinite number of discrete non-beliefs at any given moment, such as: “I don’t believe Paris is in England.” “I don’t believe the Pope is Jewish”, “I don’t believe the Sun revolves around the Earth”, etc., and they’d be considered non-crazybelief-ists for each of those. This is clearly silly, and it’s no different than claiming atheists actively “believe” there is no god. The only reason this is even a topic of conversation is because many people do believe in the current gods; it’s a matter of current religious trend. To demonstrate this, ask yourself why Christians aren’t actively labeled anti-Zeuseans. They aren’t labeled as such because they are, more fundamentally, simply not believers in Zeus. This same exact logic applies to those who don’t believe in any other god. So, if you have the education and intellectual fortitude to be an agnostic in a world full of believers, recognize that the standard for atheism is not 100% certitude that a god somewhere in the universe doesn’t exist, but rather a simple lack of belief in them currently (pending evidence). Reject society’s pressure on you to contort this clearly identifiable position into the socially inert term of “agnosticism”. Shed the self-doubt. Drop the intellectual submission based wholly in the fear of societal repercussions. When asked, just come out and say it: you’re an atheist.